Frances Benn Hall - theatre critic and playwright. 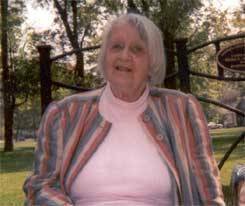 Frances Benn Hall, who died Aug. 30, 2014 aged 96, reviewed theatre in the Berkshires for NewBerkshire.com and BerkshireLinks.com since the late ’90s. Many of her reviews are available here and we’re in the process of re-posting many more that have fallen off the web over the years. – Louis Muinzer, Director, The Delphic Players. – Katherine Worth, Author, The Irish Theatre of Europe.